What makes this latest release the Vitality Baker really special is its refined combination of the flavours of rye bread and bacon. Therefore, every consumer who likes things rustic is sure to relish our Family Happys with bits of bacon. It does not matter whether they are served as appetizers, as a side dish or as part of a typical South Tyrolean 'Jause' (snack): they always taste wonderful. Just try for yourself how tasty and magic our South Tyrolean ingredients are. 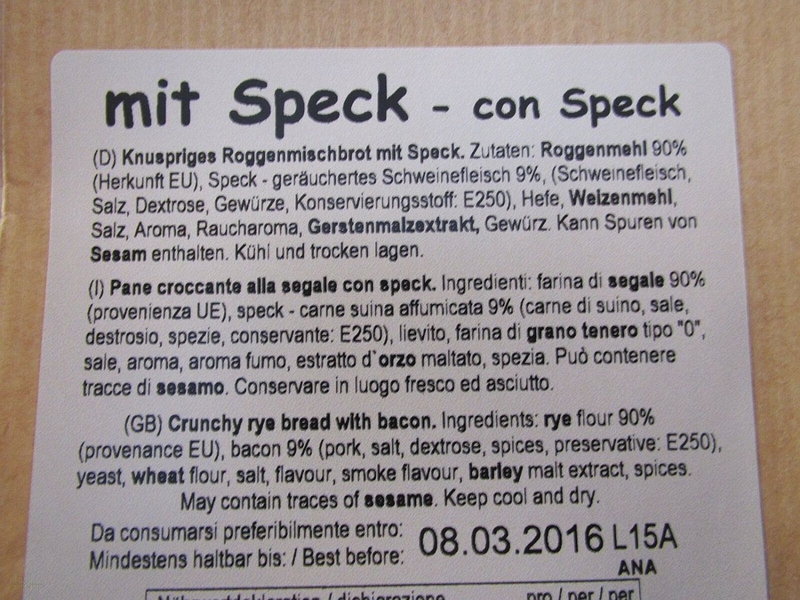 Ingredients: Rye flour 74%, bacon 9% (pork, salt, dextrose, spices, preservatives: E252), wheat flour, yeast, salt, flavour, smoke flavour, malt extract, malt flour.